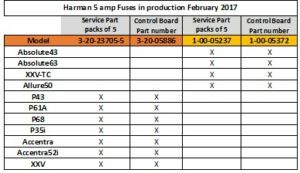 New Heat-Zone Plus Heat Management Solution and more! New Heat-Zone Plus Heat Management Solution for Heat & Glo Cosmo and Heatilator Rave ! Please review the installation instructions carefully to ensure proper installation and operation of this product. Place your orders today! A new adapter, heat-zone-top, is now available and replacing heat-zone-adpt as a rolling change. 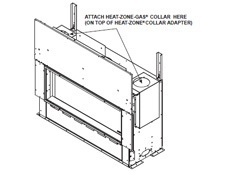 Heat-zone-top reduces required framing width from 14″ down to 2″ per heat-zone, allowing for installation in smaller spaces and increasing potential usage occasions. 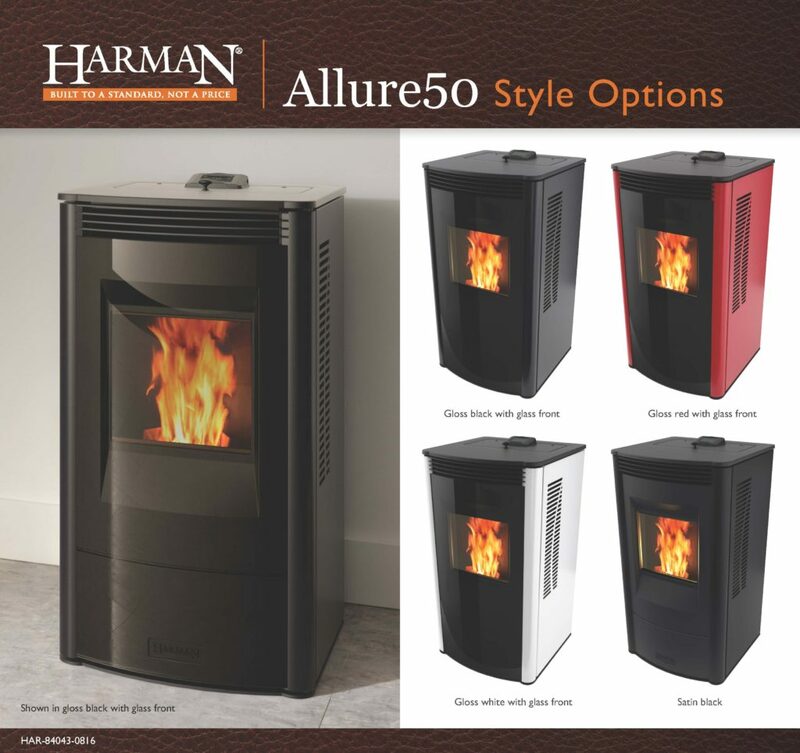 Harman currently offers the smartest pellet stoves on the market! The XXV-TC is attached to skid supports with (4) – 1/4-20 X 5/8” Hex C/S Screws to prevent movement during shipping. To free the stove from the skid support you must remove the (4) 1/4-20 x 5/8” screws located within the brackets. Figure 5.1. (2) 1/4-20 x 5/8” are located just inside the door under the ash pan. 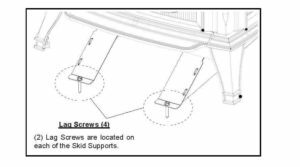 (2) 1/4-20 x 5/8” are locate at the back of the unit behind the rear cover panels. See section B. The front bolts/nuts must be reinstalled after the unit is removed from the skid supports to prevent smoke leakage into the home. We have updated to a more durable ceramic 5-amp control board fuse to provide better protection for the control board. This new 5amp ceramic replacement is recommended for all pellet stoves with the exception of obsolete products with pressure ignition (PC45, PF100, PF 120, PB105, Hydroflex60). New units will be orderable April 10, and will begin shipping once stock of current units is depleted; customer service will adjust orders as needed to ensure a seamless transition.